Often described as the 'prettiest village in England', Castle Combe draws thousands of visitors (and many TV and film scouts eager to take advantage of it period charms) and lies in the southern Cotswolds, close to Lacock (another popular tourist village) and Bath. 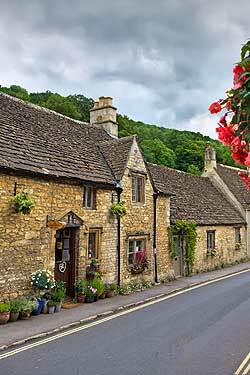 Castle Combe's photogenic cottages and quaint twisty streets can be enjoyed as a stop on a Celtic Horizon's airport transfer tour or enjoy it as part of a fuller, guided tour of the Cotswolds. Castle Combe can be visited either on an airport transfer tour (when travelling to or from your Bath or West of England destination and a London airport), on one of Celtic Horizon's suggested tour routes or build it in to a custom tour around your own requirements - contact us for details and prices.